On Saturday September 8 from 1 to 2:30 pm, the Zadock Pratt Museum (Prattsville, NY) will be hosting the final writing workshop of its 2018 Writers Workshop Series. This FREE event will be presented by skilled writer Simona David of Roxbury whose professional reputation is well-known as being both inspired and fueled by her writings about art in the Catskill Region, the Birthplace of American Art. Writers and would-be writers of all levels and backgrounds are welcome to participate it what is promising to be a wonderfully different kind of workshop as a fitting climax to the Pratt Museum’s 2018 Workshop Series. Simona will be guiding us with insights into investigating the world of art in this region from a writer’s point of view, with tips from her professional background about how to break in to the world of writing about art for professional publications. Her workshop is based on alerting us on how to recognize and engage with writing prompts already embedded within the history of art in the Catskills. 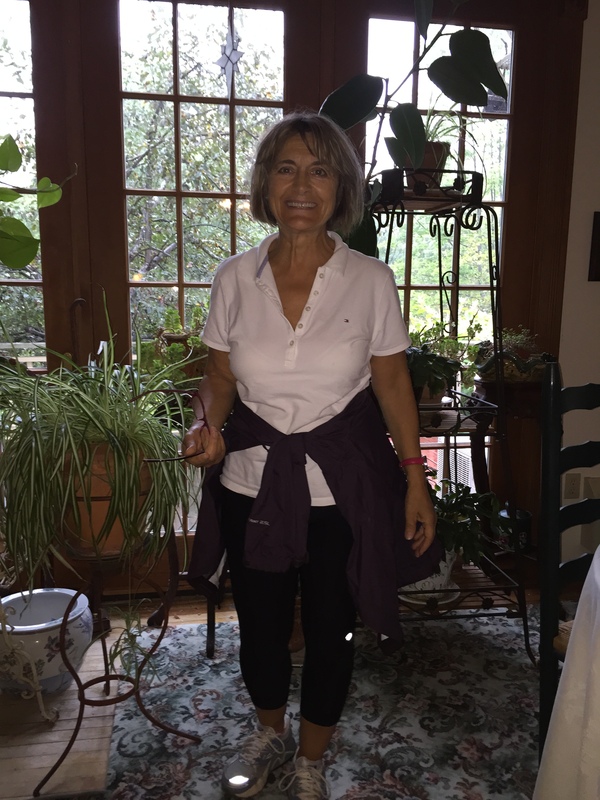 We have no further to look than the natural writing cues surrounding us, planned to elicit our intuitive best in writing, which Simona—through the rich background of her life-long investigative nature will be sharing with us. Please don’t miss this free, unusual and final workshop event of the Pratt Museum’s 2018 season sponsored in part through the generosity of the The A. Lindsay & Olive B. O’Connor Foundation, The Greene County Council for the Arts through The New York Council for the Arts, and the Zadock Pratt Museum. For more information please call 518-937-6120 and/or email us at suzanwal5@aol.com. On Saturday, July 2nd, from 12 – 5 pm, at the Zadock Pratt Museum located on Rte. 23, Prattsville, NY, Dr. Benjamin Franklin will share his recollections about the 1337 words that altered the course of history and established a new nation. Dr. Franklin will tell the story of the events leading up to signing of the Declaration of Independence and the fame and misfortune of the men who signed their lives away on that warm and sultry day in July at Independence Hall. Of all the founding fathers of our nation, Franklin most represents the common man; in fact, his life rather defined the basic values that we still hold dear as Americans, to this day. No other American has achieved quite so much as Franklin did during his long life in the 18th century. The visit with Franklin, the inventor, printer, scientist, founding father is a unique opportunity for the entire family to meet the man, to explore his thoughts, share his observations, and experience the essence of his being. Please join us as we transport you back to 1776 and introduce you to Dr. Franklin. The Zadock Pratt Museum is honored to evoke the memory of the fifty-six men who risked their lives to defy the British. This is history worth knowing. The public will be invited throughout the day to sign their names alongside our founding fathers on a large facsimile version of America’s birth certificate, The Declaration of Independence. We encourage contemporary signers to share their thoughts about why this historic document matters today. (I can’t be with you but here’s my tax deductible contribution to support of the important work of the Zadock Pratt Museum_________). This essay was funded in full by a generous grant from the Catskill Watershed Corporation. European settlers began slowly filling the Hudson Valley with farms and villages in the mid-1600s. Since Henry Hudson had claimed the region for the Dutch in 1609, the colony of New Netherland had grown very slowly, with much of the settlement confined to Manhattan, Long Island, and the area around Albany, which served the fur trade between Europeans and Native Americans. European settlement rose gradually in the 1600s, especially after the British took the colony from the Dutch, renaming it New York in 1664. Over time, agriculture replaced the fur trade as the colony’s economic strength, and settlement increased along waterways that allowed farmers to send surpluses to more distant markets. Several settlements in the Hudson Valley date to the 1650s, when the colony began to grow more quickly. Kingston owes its founding in this period to the small harbor created by the confluence of Rondout Creek and the Hudson. The original settlement that became Hudson dates to the 1660s. Newburgh was settled a little more than forty years later. Like the rest of the region, these communities grew slowly by today’s standards. In fact, despite having a good port formed by the Catskill Creek’s confluence with the Hudson, the village of Catskill didn’t grow in earnest until Greene County began to fill will settlers after the American Revolution. Only productive farms in the valley could fuel trade along the Hudson in the 1700s. The Catskills themselves remained sparsely settled until after the American Revolution, when a new wave of settlers, mostly from Massachusetts, Connecticut, and other counties in New York, sought their fortunes in the higher altitudes. The Catskills’ elevation, exacerbated by the steep eastern escarpment, along with the abundance of inexpensive, accessible land elsewhere in the colony (and then the state), ensured that the mountains would see limited settlement until some special reason encouraged taking a risk on the harsher climate and shorter growing season. For many settlers, tanning was that reason. In the 1820s, the young industry brought settlers to what Zadock Pratt described as “a perfect wilderness” in the higher towns of Greene and Ulster counties. The new arrivals found broad and diverse forests. Variations in elevation, soil quality, and moisture created a variety of forest ecosystems. Eastern hemlock, Tsuga canadensis, was abundant, mostly at the lower elevations where it grew in expansive stands in the moist soils along the region’s many waterways. Although associated with shady, wet environments, such as swampy lands and north-facing hillsides, hemlock did grow in all types of settings in the mountains, except at elevations above 3,000 feet. Hardwood forests were also abundant, with mixed old growth stands of sugar maples, red maples, beech, birch, and cherry, among many other species. Balsam fir was plentiful in some areas, especially the high peaks and ridges, but also some high valleys, such as the East Kill. These forest ecosystems supported a rich wildlife, which included bears, panthers, porcupines, and deer. The Catskills also had a rich birdlife, including numerous species of hawks, woodpeckers, and songbirds. Even by the early 1800s, some species had been extirpated from the region, including animals trapped for their furs for nearly two centuries, such as beaver and martin. Other species would disappear from the region as settlement expanded. Hunting supplemented settler diets, and so deer and other edible game were cleared from the forests. The Catskills were a well watered land, with abundant rainfall and heavy winter snows, and the region was laced by streams and dotted by ponds and bogs. These wetlands also helped diversify mountain ecosystems, providing excellent habitat for amphibians and fish. Indeed, a fish – the brook trout – may be the species most commonly linked to the Catskills since the “speckled beauty,” as it became known among avid fishermen, was the most sought after fish among nineteenth-century anglers. Cold mountain streams, including the Esopus, the Beaver Kill, and the Willowemoc, provided ideal habitat for this species. Most of the Catskills’ higher elevations have relatively poor soil, and combined with the truncated growing season this meant that the region was less than ideal for agriculture. Instead, settlers filled the flatter lands along the larger streams, especially the Schoharie, Esopus, and both branches of the Delaware. These farms grew row crows on the flattest lands, while sloping fields tended to produce hay. The most frequent crops in this early era included potatoes, buckwheat, and rye. Over the course of the mid-1800s, the forests receded up the hillsides, giving way to the pastures that provided grazing for the region’s growing herds of dairy cows and sheep. Hay also fed the region’s growing numbers of work animals, especially oxen and horses, used not just on farms but in a variety of businesses, including the tanning industry and increasingly the tourist industry. Nineteenth-century farmers could not afford to be true specialists, and they produced a wide variety of goods, many of which stayed home to diversify their tables. Farmers tended their own garden plots, raising any number of vegetables, and the most industrious planted apple orchards. Those who owned sugar maple stands gathered sap to produce maple syrup, although largely for home use. Since most of the products of these early farms stayed close to home, agricultural profits were modest at best. Consequently, most farmers supplemented their incomes through a variety of work, including employment in the tanning industry, peeling bark, selling cordwood, or working as teamsters. Others opened bluestone quarries on their lands, if they could, or worked one of the many small quarries that opened in the region over the next several decades. In other words, nineteenth-century farmers pieced together a living, using their skills, hard work, and the region’s many abundant natural resources. Over the course of the nineteenth century the Catskills region saw its forests recede and its economy diversify. By mid-century the high elevations and the steep eastern escarpment no longer kept the Catskills isolated. The mountains were home to industries such as tanning and furniture making; residents engaged in natural resource extraction, including bluestone quarrying and logging; and the region’s farms supported a growing population and sent a few products to distant markets, including butter and apples. None of these endeavors seemed to harm the region’s growing reputation as a tourist attraction, which by the century’s end was the most important component of the economy. As the population and economy grew, the environment changed significantly, perhaps most noticeably along the region’s streams and rivers, where settlement was most intense. Breaks in the deep woods, clearings made by loggers, bark peelers, or farmers simply clearing fields, indicated that the “perfect wilderness” had receded. Perhaps more than the appearance of clearings, it was the accumulation of absences – of panther and bear particularly – that indicated that settlement had its costs. The creation of leather from animal skins is an ancient craft. In 2008, archeologists discovered a lace-up leather shoe in Armenia that is over 5,000 years old. Archeologist have long known about the variety of uses to which ancient Egyptians put leather, from the sandals worn by the wealthier classes to the buckets used to help make bricks. Cultures that made extensive use of animals, either through hunting or husbandry or both, were bound to develop means by which hides could be treated to increase their durability and utility. When left untreated skins rot relatively quickly, but a variety of applications can create durable products. Not surprisingly, different cultures around the world developed techniques for treating hides. Native Americans developed their own processes for tanning, and they found many, many uses for its products. One native technique involved rubbing the brains of the skinned animals into the hides, increasing their softness and allowing them to be used as robes or other clothing. Various animal skins and pelts, from moose, deer and beaver in the east to bison on the Great Plains, were absolutely essential to Native American cultures. European arrivals in North America brought their own tanning techniques and uses for leather. Indeed, treated animals skins were essential to the colonial economy, despite the fact that Europeans preferred to wear woven cloth to animal skins. In the European tradition, oak bark became the primary ingredient in the tanning process, and indeed a chemical found in the bark – tannin – leant its name to the process. In North America, early tanning followed this oak tradition, and while Americans imported leather from Europe, they also created their own leather goods nearly everywhere they settled. Tanning became an important craft wherever the population grew. Colonial governments encouraged the industry, but imported leather remained essential through the revolutionary period. Most sizable towns supported a tanner and perhaps a courier, who treated and cut the leather. Tanning would be critical to the new nation. In his Report on the Subject of Manufactures (1791), Alexander Hamilton wrote, “There are scarcely any manufactories of greater importance, than this article leather.” As Hamilton predicted, tanning became one of the first great industries in the United States. It grew rapidly in the 1800s, as supply kept up with the rising demand from a rapidly growing nation. In the middle of the century, tanning was the nation’s fifth largest industry, as measured by the number of employees and the number of establishments. Leather was critical to New York’s economy and culture in the 1600s, and it remained so through the middle decades of the 1800s, when the industry peaked in upstate New York. but oak was also used in the north, including in Pennsylvania and New Jersey. Although oak leather commanded a premium over hemlock leather, which had a reddish hue, hemlock tanning dominated in New York State. The use of hemlock, which was so abundant in many parts of the state, ensured that New York’s leather would supply shoe factories mostly, where it would be employed in the making of soles. Leather is versatile and durable, and so it was used in a remarkable variety of products. Tack – saddles, bridles, halters and reins – was made of leather, and given the importance of horses in the seventeenth and eighteenth century this alone would have made leather a vital commodity. Of course clothing can be made from leather, too, from hats and gloves to belts and jackets, even breeches. Leather was strong enough to be used in industrial settings, as it was for belting on machinery driven by waterpower and steam. It could also be decorative, as it was when used to cover trunks, boxes or even walls. It was used to bind books, to make buckets, and to fashion toys. Despite this wide variety of uses for leather, by far the largest use in the nineteenth century was for shoes and boots. In 1850, about 80% of the leather produced in the United States went to making these items, with the thick cowhide forming soles, and finer leather used in uppers. One of the driving factors in the creation of concentrated leather production, such as in the Catskills in the 1840s, was the greater concentration of shoe and boot manufacturing. Larger consumers of hides provided a market for these larger producers of leather. At the heart of leather making is a chemical process in which skins and hides are toughened by the presence of tannins or some other acidic chemical. The industry that developed in the Catskills was much more complex than that one step, however, as tanneries brought in thousands of dried hides, prepared them for their chemical baths, and then finished the leather for the market. In other words, Catskills tanning was a multi-step process, and each step held out the possibility for improvement in the efficiency of the work or the quality of the product. In the early 1800s, tanning required four major resources: the hides themselves, of course; water; hemlock bark; and lime. The lime was used in the first step, removing hair and remaining fatty tissue. If the dried hides arrived salted, as they often were to prevent rotting, then they were soaked to remove the salt. Then they were introduced to a vat containing a lime solution to loosen the hair. Because this process was slow and added to the expense of tanning, innovation led to another technique, known as sweating, in which hides were hung in damp air for several days until the hair had loosened. After either a lime bath or the sweating – sometimes both, the hides were taken to a beam house, where workers placed the soaked hides on an angled log and scraped away the hair and remaining fat with a curved dull knife. Hides were then removed and “worked over” to improve quality, and if they had soaked in lime they had to be soaked in an acidic solution to prepare them for tanning. Sometimes, particularly later in the century, hides were then split to help ensure a more uniform tanning outcome well as increase the amount of saleable leather tanners could get from each hide. Once the lime had been removed, the sides were ready for the tanning itself, during which hides moved through a series of vats with differing concentrations of “liquor,” the bark solution that contained the tannins. The real skill in tanning came from knowing how concentrated these baths should be and how long the sides should remain in them. The tanner’s goals were to conserve bark, conserve time, and maximize the amount of leather produced. The best tanners could add a greater amount of weight to their hides, thereby increasing their profit since all transactions were measured in weight. The sides spent about six months in the vats, with various changes of the liquids along the way. Some tanneries were constructed so as to require labor to bucket out spent liquor and refresh it from leaching vats in which bark soaked in water. Other operations more efficiently used varied elevations to allow water to flow down into the desired vats. William Edwards, the innovative Hunter tanner, introduced the use of warm liquor after realizing that tanning took less time in the warmer months. That innovation decreased the average time the process took, but it also increased the amount of wood tanneries consumed, since they heated great quantities of water. Indeed, the entire tanning process required so much water that Catskills tanneries of necessity located along flowing water. Further, tanners built their establishments where the water fell – a mill seat – so that dams could hold back water, divert it through a race and run it over waterwheels that turned bark mills and other machinery. Races also delivered water used in the various vats. On the downstream side of the tannery, water carried away the used liquors, lime solutions, bits of unwanted flesh and usually the hair as well. All of these wastes simply ran into creeks and flowed downstream. The peak period of Catskill tanning, from the 1820s through the 1840s, witnessed dramatic changes in tanning technology. The introduction of cast iron bark mills – nicknamed “coffee-grinder” mills – greatly reduced the use of much slower horse-powered stone mills. These iron mills, one of which had been patented by Hudson resident Cornelius Tobey in 1807, could grind the hemlock into more uniform small pieces in order to facilitate the leaching of tannins into the water, thereby maximizing the value of the bark. By the 1850s, the most popular bark mill among sole tanneries was the Wiltse Mill, also known as the “Catskill Mill,” for the town in which it was produced. When worked at capacity, the Catskill Mill could grind two cords of bark in an hour, saving considerable time and labor. Other machinery also entered the process, increasing efficiency and reducing labor costs. William Edwards introduced the use of a modified fulling mill, called a hide mill, which pounded the dry hides to soften them and better prepare them for the tanning process. Edwards also introduced the use of a rolling mill to treat leather sides at the end of the process, giving a more uniform and finished quality to his leather. By the late 1820s, the Edwards tannery in Hunter had so many machines in use that it employed seven water wheels to supply the power. By the 1850s, as tanning moved south into Sullivan County and Pennsylvania, new tanneries often included a steam engine to power more of the work. Another Catskills tanner, Joseph B. Hoyt, developed a furnace that could consume wet bark to generate steam power. He perfected the furnace in 1852 at his Woodstock tannery, and its later adoption proved revolutionary for the industry. No longer were tanneries reliant upon waterpower, since the construction of this furnace allowed tanners to turn a former waste material into energy. The generation of essentially free energy also allowed many tanners to adopt machinery more readily. In some ways, tanning remained a craft, especially since the chemical process – creating the tannic baths and monitoring soaking hides – required special knowledge best acquired through apprenticeship to a master. But by mid-century tanneries looked like modern industrial plants. They had large central buildings, sometimes more than two stories high. Zadock Pratt’s tannery, for example, was more than five hundred feet long and two and a half stories high. It contained three hundred vats. Tanneries could have many buildings, including a separate beam house, barns, and bark mills. They had smokestacks for steam engines and chimneys for furnaces. They could be surrounded stores of raw materials: piles of raw hides, stacks of cord wood and un-ground bark. In other words, mid-century tanneries were indicative of nineteenth-century American innovation. They worked on the principles of the economy of scale and the drive for increased efficiency and profit. They well represented the industrial revolution that transformed the world’s economy. The tanning industry was much more important to the national economy than most people would suppose. In the first decades of the 1800s, it was one of the largest industries in the country by any measure, including number of employees and value added to products. It could not match the lumber industry for number of establishments, as sawmills were nearly ubiquitous in the young nation, and textiles represented more than five times the capital investment, which is not surprising given the early use of machinery in that industry, but in 1850 the United States Census identified tanning as one of the six largest industries in all of these categories. In that year, tanning employed over 25,000 people around the nation, and it added more than $16 million in value to processed hides. Although tanning took place in every part of the country, at the beginning of the nineteenth century a handful of states produced much more than the average. Not surprisingly these were generally the most heavily populated states, including Massachusetts, Pennsylvania, and New York. Tanning in New York State expanded rapidly from 1820 to 1850, just at the time that the industry moved into the Catskills. Indeed, the story of the Catskills’ growth as a tanning region is part of a larger story in which the state’s tanneries began to produce for a national market centered in New York City. Upstate tanners, such as those in the Catskills, had a competitive advantage in the early 1800s, because they had good access to both hemlocks and the leather market in the city. Because of this very productive relationship between upstate and downstate, for much of the nineteenth century New York State led the nation in tanning. At the beginning of the century, tanning was a scattered industry, with small production facilities in rural areas as well as larger cities. New York City had a concentration of tanneries, but together they represented only a small fraction of the state’s production, a fraction that continued to diminish. The high cost of moving bark meant that it was more profitable to tan near the trees than near leather consumers, and so in the early 1800s tanners began moving west, out of Massachusetts and into the Hudson Valley, where they found fresh stands of hemlock. As late as 1820 very few tanneries existed in the Catskills region, but by the middle of that decade Greene County had become the place to be for tanners, and soon it produced more tanned sides than the rest of the state combined. Norcross also illustrated the growth of the New York market with a chart showing leather inspected in the city arriving from Greene, Sullivan and Delaware counties. According to Norcross, in 1827 these mountain counties produced 265,000 sides of leather. Ten years later production had more than doubled to 665,000, and it would nearly double again by 1847 to over a million sides. By 1867 production had exploded to over 4.4 million sides. Norcross’s chart hid as much as it revealed, however. Much of the leather reaching New York City in 1827 came from Greene County, but forty years later Greene sent almost no leather to the city. Instead, Sullivan and Delaware counties had replaced Greene as leaders in Catskills tanning. The movement of the industry can be traced through the history of one of the region’s most prominent tanning families: the Palens. Jonathan Palen settled the area at the foot of Kaaterskill Clove before 1817, and had opened a tannery at the base of the clove. This was just the first of many tanneries that the Palen family built or purchased. Over time, Palen and his brothers and sons were involved in at least seventeen tanneries, most of them in the Catskill region. In the early 1830s, the Palen tanneries, four of them in Greene County, produced nearly a tenth of the leather sent to the New York City market. The Palen family’s investments in tanning moved south with the industry, from Greene and Ulster to Sullivan County and northern Pennsylvania. In 1832, Rufus Palen left Palenville, which had taken the name of his uncle, to open a new tannery in Sullivan County, the Fallsburgh tannery, at Neversink Falls. Rufus dammed the Neversink for power, and purchased 1,500 acres of hemlock forest, a total to which he and his partner, Nicholas Flagler, would add. Operated by the Palen Flagler Company, the Fallsburgh tannery remained open until 1869. At times it employed as many as 45 men and tanned as many as 42,000 hides a year. Over the life of its operation, the Fallsburgh tannery consumed perhaps 25,000 acres of hemlock, and the tannery complex included a gristmill and sawmill. Upstream, the Palen family also opened the Neversink tannery in 1839. Operated by Arthur Palen, the Neversink tannery acquired its bark through contracts allowing Palen to cut bark from land he didn’t own. He similarly contracted for timber in this way, feeding his nearby sawmill. These types of contracts were common practice, since they decreased the amount of capital required to operate a tannery. As the Palens and other tanners followed the hemlock south, tanneries in Greene County continued to close, unable to secure bark at a reasonable price. The collapse of the industry was remarkably rapid. By 1855, there were just nine tanneries left in Greene County. That same year, Ulster County had thirty, with eight of them in the town of Shandaken, where 188 men worked in the tanneries. Olive had just four tanneries, but the census identified 145 men who worked in them, and indication that these were large, modern facilities. At another Ulster County tannery, in Ellenville, Abraham Schultz invented a process that mixed bark from hemlock and oak, creating “union leather,” which had a more attractive color. By 1845, Schultz was selling 30,000 sides of union leather per year. The growth in tanning was even more dramatic in Sullivan County, which gained dozens of new tanneries in the 1840s. In 1853 and 1854, Mortimer Strong visited nearly 300 tanneries in New York and Pennsylvania, making inspections for the Market Fire Insurance Company and in the process creating a rich portrait of these operations. Thirty-eight of the tanneries he visited were in Sullivan County and none were in Greene, an indication that insurers thought the few remaining, older facilities were not a good risk. Nearly two thirds of the tanneries in Sullivan County were less than a decade old when Strong visited in 1853, and most were clearly thriving. Among those he visited was the Fallsburgh Tannery, operated by the Palen family, which Strong reported “has the reputation of being wealthy.” Some of the operations were quite large, such as the Mongaup tannery that employed up to 60 men and had more than 250 vats. Others were quite small, employing a dozen or fewer men. Still, modern tanneries with the latest machinery could process great numbers of hides with fewer workers than in previous generations, so even the Liberty Tannery, established in 1846, employed just over a dozen men but could still be described as “rather extensive works.” The average number of employees in Sullivan County tanneries was just twenty. As the tanning industry moved out of Greene County, it moved in several directions, not just south into Sullivan County. The 1855 state census found 863 tanneries in New York, with at least one in each county save Richmond, which is Staten Island. The greatest concentration was in Erie County, an indication that western hides coming into Buffalo via Great Lakes shipping had sparked industrial growth in that city. The Southern Tier had also become an important tanning region, with twenty operations in Broome County and another seventeen in Allegany. Several prominent Catskills tanners began investing in the Southern Tier, especially near the hemlock forests of the Alleghenies, as early as the 1830s, and by the 1860s two of the Palens had purchased a tannery in Limestone, Cattaraugus County, where they produced leather through the end of the century. Tanning also moved into the Adirondacks in the 1850s, beginning in the areas closest to the Hudson River, in the southern and eastern parts of the region, including Warren County, home to Glens Falls. Tanning peaked in the north woods from the 1860s through the 1880s, and the industry followed the same pattern as in the Catskills: the development of new towns around large tanneries set along waterways amid dense hemlock forests; the closure of the tanneries once the hemlock gave out; and the sometimes rapid decline of the villages after the tanneries closed. Tanning had nearly ceased in the Adirondacks by the end of the century. Unlike the Catskills, however, the remoteness and ruggedness of parts of the mountain range inhibited the spread of the industry, so parts of the Adirondacks were spared the ravages of bark peeling. The movement of the industry, as it chased accessible hemlock, had significant implications for Greene County, and then, of course, for the other counties that it fled. Rural townships in Greene began a steep population decline as the tanneries closed. Prattsville had a population of 1,588 in 1855, but twenty years later it had just over 1,100 residents, meaning it had lost 30% of its total. By 1850 all three of the area’s tanneries had closed. The Morss tannery at Red Falls, on Batavia Kill, closed in 1849, leaving a large empty building, which did find subsequent uses, as a barn, planing mill, and cider mill. As was common in the tanning business, several members of the Morss family moved south to Pennsylvania to continue practicing the trade there. Other towns suffered losses, too, including Lexington, which saw its population dwindle from over 2,200 in 1850 to just over 1,300 by 1875. Even the town of Hunter, which had a more diversified economy, witnessed a population decline over these same years. In every tanning region in New York, peaks of activity came and went quickly. Although the industry was in general retreat around the state by 1890, New York still had 200 tanneries producing over $20 million worth of leather. Some parts of the state retained a significant tanning presence into the twentieth century. Gloversville, for example, gained its name from its primary product, made by dozens of factories. In 1900 Gloversville and neighboring Johnstown together produced nearly sixty percent of the nation’s gloves. Glove manufacturing went hand-in-hand with the production of morocco leather, which centered in Gloversville. Morocco, or kid leather, traditionally used goat skin but later included sheepskin, and was tanned using sumac instead of oak or hemlock. As late as 1916, Gloversville still had twenty active tanneries. Gloversville’s success notwithstanding, the tanning industry had largely moved west by the beginning of the twentieth century, following the movement of the nation’s population – and its cattle. New York State was no longer a leader in the industry. Even several decades earlier than that, essentially no tanning was being done in the Catskills. The story of tanning in the Catskills provides a wonderful window on what historians call the Market Revolution, an early nineteenth-century process that unleashed the power of industrial capitalism to generate previously unheard of profits. Tanning in the mountain counties peaked just as the industry itself was evolving from a handicraft business, in which skilled artisans produced mostly for local markets, into a national industry with international components, in which businessmen directed resources and goods across regional and national borders in search of greater profits. William Edwards and Zadock Pratt played significant roles in this change, developing and adopting new machines and techniques to improve efficiency. Altogether many important improvements were made in the Catskills and Hudson Valley, including changes in the chemical composition of the liquids, the timing of the soaking, and the handling of hides. The industry’s power sources had evolved from hand and horse to water and steam. Men such as Pratt and Edwards strove to make tanning an ever more profitable business. Even though both Pratt and Edwards met with considerable success, competition kept the prices for tanned hides low, except in moments of extremely high demand. This competition impelled further innovation. That these changes took place at the same time – the creation of a national leather market and rapid technological change in the production of leather – is not a coincidence, of course. Capital sought higher returns in all facets of the business. Un-tanned hides traveled great distances. Shoes did too. Everyone sought the lowest prices for necessary raw materials (hides, hemlock bark) and the highest prices for finished goods (shoes and boots, mostly). Every process in the middle was subject to the pressures of profits. As in other industries, much of the savings came from decreasing labor costs by decreasing the amount of time it took to do the work and by increasing efficiencies of scale through the creation of larger operations. The Catskills tanning industry helped create many fortunes and elevated many men to prominence. Among the wealthiest and most famous was Zadock Pratt, whose career in the industry became symbolic of Catskills tanning altogether. He came into a sparsely settled valley, built a tannery, a town, and a fortune, and in the process he removed a wilderness. The Pratt family has deep roots in the Americas, having arrived in Massachusetts in the early 1600s. Pratt’s father, Zadock Pratt Sr., was born in Saybrook, Connecticut, and was a tanner and shoemaker by trade. He also kept a small farm. Zadock Pratt, Jr., the fifth of seven children, was born in Stephentown, Rensselaer County, in 1790. A frontier town near the border with Massachusetts, Stephentown was isolated from the more populated areas along the Hudson River, which was more than ten miles distant. Pratt would later credit his youth in the “newness of the country” for developing a “controlling self reliance,” the classic story of the frontier helping to create resourceful Americans. At the heart of his upbringing lay practical training: “the farm, the tannery, and the workshop, were his great teachers,” notes his biography. The Pratt family moved to what is now called Jewett when the younger Zadock was twelve. There he worked in his father’s small tannery and on the family farm. Leather would remain central to Zadock’s development. He was apprenticed to a saddle maker in Durham at the age of twenty. The next year he came back to Jewett, where he worked making and selling saddles, using space in his father’s tannery. After a few years of productive labor, he built his own shop which included a general store, which he ran for just a couple years, selling it off as the economy soured during the War of 1812. During the war, Pratt served in the defense of New York City from the British and earned the title Captain, which he used through the remainder of his life. After the war, Pratt opened a tannery in partnership with two of his brothers in Lexington. Pratt married for the first time in 1818, but the union lasted just a year. His wife died of tuberculosis, then a common and deadly disease. He remarried in 1823, while he continued to work at the Lexington tannery beside one of his brothers. Tragically, his second wife also died of tuberculosis within a year. This second death encouraged Pratt to make additional changes in his life. He dissolved his partnership with his brother and set out to open a larger tannery, inspired by the ever increasing demand for leather in the good economy of the 1820s. He came away from the partnership with $14,000, a considerable sum, to capitalize his new venture. In the summer of 1824, Pratt wandered through the Catskills, as far south as Sullivan County and west into Delaware County in search of an ideal location for his tannery. He walked through sparsely settled territory, along rivers and streams, with only his dog for companionship. He eventually settled on a spot in the western end of the town of Windham, along the Schoharie Creek. There were few farms in the area, and only a rough road connected the place with Catskill, a little less than forty miles to the east. For $1,300 Pratt purchased the meadow on which he would build his tannery and the town that supported it. His first step was to build a dam across the river, which would power the tannery. In early spring, 1825, Pratt and hired local men built the building that would hold the vats, and they began to soak hides in early summer. This modern tannery building was 350 feet long and two and a half stories high. It held 300 tan vats, and another 30 in the beam house, and it had the capacity to tan 60,000 hides of leather a year. Although something like sixty men worked directly at the tannery, many dozens more worked indirectly for Pratt, including those who peeled bark and others who worked as teamsters. To initiate business, Pratt went down to New York City, where he secured hides from Gideon Lee & Company, a firm with which he continued to do business for years. For three years Pratt worked alongside his hired men, eating with them and sleeping in the same quarters. In 1828, he married for the third time and built a large, stately home in the center of town, bringing his wife to Prattsville from Renssellaersville. His elegant home had before it two ponds, stocked with fish and churned by decorative fountains. His third wife died in 1834, leaving Pratt widowed once again, but this time with three children, two daughters and a son. He married yet again a year later. All of this marrying and dying remind us of two important facts. First, life was precarious in the early nineteenth century. Health care was limited and not especially effective. Doctors could only guess at treatments for tuberculosis, for example. Second, a nuclear family was culturally and economically critical. Advancement required partnerships, and it was common for widows and widowers to remarry quickly. The burdens of household management, even for wealthy families that hired men and women to aid with children, cooking, cleaning, and stable work, made marriage almost essential; nearly all aspects of life were more labor intensive than they are today. In addition, love was less important to marriage in the nineteenth century. Finding a mate was more about compatibility of goals, interests, and sometimes faith. Pratt met with continued success in his business in the 1830s and early 1840s. With partners, he opened other tanneries in the area, including one at Lexington and another at Big Hollow. Both eventually burned, as was common in the industry. Still, Pratt’s great success in business allowed him to give generously to the Methodist, Episcopal, and Baptist churches in town, each of which he helped found. He also supported the building of an academy in Prattsville. In 1843, Pratt created a bank in town, capitalizing it with $50,000. Pratt’s investments in institutions beyond his tannery reflected his relationship to the broader community. He saw himself not just as a successful businessman, a tanner, but as a model of the ideal American man – a citizen and a statesman. In one of his few failures, Pratt helped spearhead a movement to create a new mountain county, in the hopes of gathering together townships centered on the Schoharie and its tributaries. Despite this disappointment, Pratt did have a successful career in politics. In the mid-1830s, Pratt became an active member of the Democratic Party. In 1836 he was elected to Congress, representing the 8th district of New York: Greene, Schoharie, and Columbia counties. He served another two-year term in the mid-1840s. In the highlight of his two terms in Congress, Pratt played a role in creating the Bureau of Statistics, which he thought would be of use to developing businesses. Pratt well understood that the tanning industry was fleeting. No matter how efficient and modern his tannery, at some point the region would be cleared of usable hemlock and the cost of transporting bark would necessitate the closure of his operation. Pratt planned for this inevitable future, hoping to diversify Prattsville’s economy to ensure its prosperity after the tannery had closed. In this regard, Pratt put special emphasis on developing dairy farming in the Schoharie Valley. This was a very reasonable approach, since in clearing the area of hemlocks, Pratt and his men simultaneously created farm fields. Pratt also had a strong affection for farming, which he had engaged in since a young boy. Pratt’s agricultural experimentation had mixed results. Not surprisingly, Pratt brought the same innovative thinking to farming as he did to tanning. Everywhere he saw the possibility for improvement. For instance, he pumped some of his tanning profits into the importation of new livestock breeds, including cattle and sheep, hoping that they would be more productive in the Catskills climate. His farm long outlived his tannery in Prattsville, but it couldn’t replace the lost jobs. In 1865, the Pratt’s dairy farm employed just three men, three women, and three boys, according to the Prattsville News. Even after his Prattsville tannery closed, Pratt remained active in the industry, investing in existing tanneries and building new ones. He invested in the large tannery in Samsonville, and in 1853 he gave it to his son. In 1851, as part of his mission to expand U.S. exports of leather, Pratt sent samples from his various tanneries, including native slaughter hides tanned with oak at the Samsonville tannery. His primary interest was in encouraging the growth in demand for hides tanned with hemlock, which was then not popular in Europe. Indeed, he even sent along samples of the hemlock bark itself. As his career wound down, in August 1856, Pratt entered a partnership with Jay Gould, a Delaware County native with remarkable drive. Just a young man at the time, Gould had already trained himself to be a surveyor and written a history of his home county. Entrepreneurial, and a good judge of business character, Gould reached out to Pratt to offer a joint operation in Pennsylvania, into which the tanning business was moving. With the partnership formed, and capital secured thereby, Gould created Gouldsboro, Pennsylvania, around a new tannery. He built a boardinghouse for workers and garnered a post office, which literally put Gouldsboro on the map. Pratt remained distant from the new tannery, however, and Gould’s inexperience and inability to hire a capable foreman retarded the quality of the leather produced at the new tannery. A faltering economy in 1857 didn’t help the partnership’s prospects. A series of changes, including an improving economy, made 1858 a much better year, and the Gould and Pratt tannery produced 60,000 sides. Despite the better year, Pratt sold his portion of the business in 1859, after having grown increasingly concerned about the risk-taking of his young partner, and about the quality of leather produced at a facility Pratt himself could not oversee. Gould’s conflict with his next partners, leaders in the Swamp, led to armed conflict at the tannery and the initiation of Gould’s ruthless, reckless reputation in New York City’s business circles. Gould left the tanning business, perhaps in part because Swamp merchants refused to supply him with hides, a transaction that required the extension of credit and trust. For his part, Pratt retired from tanning in 1859, having sold off all of his interests in tanneries. He lived his last years in Bergen, New Jersey, where he died in 1871. Zadock Pratt was the most famous of the Catskills tanners, well known in Swamp and in the industry generally. His contributions to tanning could not match those of another Catskills businessman, however. William Edwards entered the Catskills in 1817, after having apprenticed in tanning and currying through family relations in New Jersey and Connecticut. He arrived in Greene County from Northampton, Massachusetts, where he had operated a tannery for many years. A fire at his Northampton tannery in 1799 led to considerable indebtedness and his inclination to seek improvements in the tanning process. Heretofore a craft that focused on the quality of the output, rather than the efficiency of the process, tanning remained nearly entirely unstudied. Edwards innovated in several different ways, including redesigning and enlarging facilities, introducing new machinery, and tinkering with the actual tanning baths. His innovations initiated changes in the entire industry, and Greene County was at the center of this wave of innovation. In July of 1817, Edwards came to Hunter to build a tannery in “the midst of a dense hemlock forest” along the Schoharie, at a spot known as Red Falls. The valley was heavily timbered, and it was swampy along the flats. This was the ideal location, as it afforded access to bark, water power, and a good connection to New York City. At first this last quality was the least secure, since when Edwards first arrived to build his tannery the roads through the mountains were very rough, and transporting hides up the steep grade from Palenville to the tannery cost 50 cents per 100 pounds. Over time, the roads improved, although Kaaterskill Clove remained remarkably steep! The first innovation Edwards initiated involved the creation of the company that financed the construction of his new tannery. Along with business leaders in New York City, Edwards lobbied for a new law that allowed him to take on partners – those with capital. Together they created the New York Tannery. Among his many partners was Gideon Lee, who became a central figure in the growth of the leather trade and even served as mayor of New York. The company purchased 2,500 acres around the Schoharie, and Edwards set to work. Edwards needed to bring his own skilled men from Massachusetts, including a carpenter and millwright, to construct the tannery. Among the first buildings they constructed were a shanty for the millwright and a boardinghouse for the men who would build the tannery. They also built a store to handle goods brought up from the Hudson. Edwards stayed at a log tavern nearby. The men brought in hemlock logs from which bark had been peeled. Not until all of these other buildings had been constructed did the men build the tannery – a large building: 200 feet by 36. This cluster of buildings became the center of a new village – at first called Edwardsville, for obvious reasons, and later known as Hunter. In addition to building a hamlet to support his tannery, Edwards kept a large farm to help supply his horses and oxen with hay and oats. In this way, the tanning industry, and especially its employment of great numbers of hauling animals, encouraged the growth of agriculture in the mountains. Like bark, hay was much more expensive when shipped long distances, so essentially all of the hay consumed in the mountains came from mountain townships. Unlike Pratt, however, Edwards was less interested in experimenting in agriculture, and instead focused his innovations on his tannery. In 1822, when Edwards wanted to expand the operation, which the company did not allow, the Edwards family, with backing from Jacob Lorillard, purchased the tannery, after which Lorillard, another very successful New York leather merchant, began supplying the hides. That arrangement lasted another fifteen years. The tannery was destroyed by fire in 1830, along with large stores of bark and wood. Because dust from bark grinding made the wooden buildings even more flammable, once they ignited, they tended to burn to total destruction. The Edwards family rebuilt, using their own capital, an indication that the tannery was still very profitable. Edwards built six tanneries over the course of his career, the first in Northampton in 1790 and the last in Hunter to replace the burned tannery in 1830. This last tannery had seven water wheels. One ground bark, four ran hide mills in the beam house, one ran a pump, and one powered a roller to finish the leather. The latter piece of machinery – the roller – was Edwards’ first patented improvement, and the patent proved very useful to Edwards, since the practice of rolling finished leather was widely copied at a time when Edwards greatly needed the capital. All of the water wheels powering the 1830 tannery indicate just how innovative Edwards was, how progressive his operation, but not all of his innovations required additional power. One of his improvements involved using heat to create the tanning liquor – more rapidly removing the tannins from the bark. In addition, the warm water more quickly tanned the hides. He also used a better arrangement of the vats to allow gravity to move the water, aided by a pump. These improvements greatly reducing the amount of labor required. When Edwards apprenticed as a young man, his employer tanned approximately 100 hides per employee. With his innovations, Edwards could tan 30,000 to 40,000 hides per 20 employees, meaning that his operation was up to twenty times as efficient, in terms of labor, compared to the tannery in which he first learned his craft. Not all of Edwards’ tinkering bore fruit. Thinking that hides laying flat in the vats prevented even tanning, Edwards experimented with suspending hides in the liquid to improve contact with the tannins. This new method of suspending the hides in the liquor greatly reduced the time they needed to spend in vats, which in turn meant that the tannery needed fewer vats. However, this plan had flaws, including that suspension stressed the hides, making the backs thinner and the bellies thicker. So, the tannery went back to the older, more labor- and space-intensive process of handling the hides in the liquor. The diversity of tanning operations – their differing sizes and locations – meant that workers lives were quite varied. Some lived on their own farms, or those of their parents, and worked in tanneries part time or seasonally. Many worked side-by-side with the tannery’s owner in operations that employed just a few hands. Others lived in large boardinghouses at the tanneries, such as that constructed by William Edwards at his establishment in Hunter. Here the men lived communal lives, eating and sleeping in the same large rooms and, of course, working together on long days of labor. Under Edwards’ watch, they prayed together daily, and on Sunday they attended services together in the dinning room. Even the largest and most modern of the Catskills tanneries employed relatively few men directly. Pratt’s large tannery employed just 58 men, with twelve of them serving as teamsters, running hides to and from Catskill. Others worked in the tannery itself, moving hides in the vats, operating the rollers and grinding the bark. Some of Pratt’s men made good money. The yard foreman, for example, made $50 a month – a substantial sum in the 1840s. Most men made considerably less, however. The least skilled men, such as those who moved the hides to and from that vats, made just $12 a month, although Pratt also paid $6 for their board. The man who ground the bark in the daytime made $12, too, but the man who ground at night was paid a bit of a premium – $14. The differing pay rates and the specificity of the titles for Pratt’s workers reveal two important things about labor in the largest Catskills tanneries. First, the men specialized in certain tasks. This division of labor helped facilitate the drive for efficiency, as men could become experts in a small number of jobs, learning the tricks and habits that reduced costs and increased quality. Second, the differential pay reveals a separation of management – the foremen – from the workers, those who performed the most difficult physical tasks, such as scrapping hides or handling sides. Both of these trends – the division of labor and the differentiation of management and labor – were indicative of the industrial revolution. As one Hunt’s Merchants Magazine article from 1840 noted, “unskillful workmen and laborers” had to be “trained and ‘broken in,’” an indication that more than just the job had to be learned. They also had to learn how to abide the rules of industrial work. These were men who were used to hard physical labor. Nineteenth-century Americans were accustomed to twelve-hour workdays and just one day of rest each week – the Sabbath. A strong work ethic plus the daily demands of agricultural work meant that few would complain of the physically demanding labor required to move the hides through the various tanning stages. But tanning was increasingly different from farming, where most of the men learned their work habits. With the division of labor, workers engaged in a small number of tasks for extremely long hours, sometimes for months on end. The seasonal rhythms of farming and the diversity of daily chores went missing from these increasingly industrial operations. The spread of tanning in the Catskills drew a variety of people into the mountains. There were men of means who bought land and established businesses. Skilled men came, too, lured into the Catskills by owners, mostly from eastern states where tanning was already stagnating. Although much of the unskilled labor came from local men, the growing industry also attracted immigrants who entered the United States through Boston or New York City, seeking economic security for themselves and a better life for their children. In the 1820s, immigration into the United States was modest, but it increased steadily. By the 1840s, hundreds of thousands of immigrants, mostly from Ireland, England, and Germany, were seeking their fortunes in the United States. The 1850 census found that nearly 10% of all Americans were foreign born. Not surprisingly that percentage was much higher in major seaports; New York City was just over 20% foreign born, with Irish heavily represented. Some of these newcomers made their way into the Catskills, chasing opportunities. As early as 1839 enough Irish immigrants had arrived in Hunter to warrant the creation of a Catholic parish, St. Mary’s of the Mountain Church. The new church garnered the financial support of Catholics in the area, many with the prominent Irish surnames still found in the area: Dolan, Kelly, Kennedy, O’Donnell, Quinn. Despite this important new source of labor, and the many changes their arrival would bring to Catskills culture, Greene remained an overwhelmingly native-born county, with just 6% of its population foreign born in 1850. In that same year, Ulster County, where tanning had become increasingly important, the census found nearly 8,500 foreign born residents (14% of the total), but many of these immigrants lived in the Hudson River port towns, which also provided economic opportunities. Not surprisingly, sometimes workers and owners had differences of opinions, and since owners held the real power in the relationship, workers tended to yield to employer demands – or risked losing their jobs. In one example, Rufus Palen prohibited smoking in his Fallsburgh tannery, but workers repeatedly violated the ban. Eventually Palen brandished a gun to force a smoking man (who had already been fired) out of the building. A scuffle with another worker ensued, and although no one was seriously hurt Palen was charged with assault with intent to kill. Palen was acquitted of the crime, with the jury finding Palen justified in defending his property from the threat of fire, but the incident reveals how much tanning could resemble other industries that developed in the nineteenth century. Workers and owners could find themselves in conflict, with different interests and goals. An argument about a smoking policy may seem a minor affair, but it foreshadowed more intense class conflict that would develop after manufacturing had begun to concentrate in cities. Although Pratt’s relatively large operation directly employed less than sixty men, it indirectly employed many other workers, including bark peelers, who were typically seasonal workers who made their money by selling bark by the cord or by contracting their labor by the day. These men could have any number of other jobs, since the bulk of the peeling took place over just a few weeks in the spring. During these weeks the labor was intense. Since peeling could only take place during this short window, the men felled trees and stripped bark as long as daylight allowed. The hemlock sap stuck to the men, as did sawdust and dirt. Since bark peelers tended not to change their clothes, they acquired the pungent smell of sap and a sticky layer of debris. Some of the bark peelers’ camps were large enough to employ a cook, perhaps a woman, but for most men these were long, lonely weeks of work. After the peeling season, some of the men stayed in the forests, producing other wood products, such as hemlock shingles, but most of the men probably worked on the region’s farms in the summer and fall, only to return to the forests in the winter, when snow allowed them to sled the piled and dried bark down to the tanneries. Tanning came to the Catskills for one reason: hemlock. Although still present in the mountains, hemlock was much more abundant in the 1820s as the industry moved in to exploit the resource. The species occupied large groves, especially on mountainsides. The first step in tanning was to remove the bark from these trees, a process undertaken exclusively in the spring, when the bark could be more easily removed. Peelers selected the larger trees, peeling off bark at the base before felling the trees. Peelers used spuds and draw knives to separate the bark from the thicker parts of the trunks and sometimes from larger lower branches. The bark dried for a day or so and then was piled together for transport by wagon or sled, both of which followed the rough “bark roads” cut into the forest. Bark peelers generally did not cut small trees, since saplings had too little bark to make the work worth the while. But the peelers left behind more than a few standing trees. Much of the felled wood was left to rot on the forest floor, since hemlock did not supply an especially valuable lumber. Of course the region consumed hemlock for a variety of purposes, including the building of tanneries, homes, and plank roads, but the peeling process produced much more wood than the region itself could consume. Felled limbs and even whole logs littered bark clearings, drying in the sun, and creating a fire hazard. Indeed forest fires thrived in this new environment, posing threats to the trees left uncut and even neighboring hardwood forests. Even without forest fires, the environmental consequences of bark peeling could be dramatic. Forest clearings filled with grasses and other species, including berry bushes and other shrubs. The widest of the bark roads also created disturbances in the forest ecosystems, inviting in weed species, whose seeds traveled along with horses and humans even into the deepest clearings. The most obvious consequence was the reduction in the numbers of hemlocks, of course. Hemlock cannot sprout from the stump, and so in many areas the clearings gradually filled in with hardwoods. It took two or three midsized trees to produce a cord of bark. Although there would have been considerable variation, Pratt estimated that his men could get 18 cords of bark from an acre of forest. Pratt estimated that his flagship tannery alone consumed ten square miles of hemlock forest. (In addition, the tannery had consumed another 32,000 cords of hardwood to heat water and the building.) Altogether the Catskills tanning industry may have consumed as many as 7.5 million hemlock trees in the course of just 40 years. That’s the equivalent of 164 square miles of forest. Deforestation surely had implications for other aspects of the Catskills environment, from the increase in erosion to the decrease in favorable habitat for certain species. As Pratt’s biography poetically notes regarding the great transition underway, Pratt “heard the fierce screams of the panther and the savage bark of the wolf dying away over the distant hills, as they surrendered, unconditionally and forever, to the claims of civilized life, their title to the control of the tenantless forest.” In this telling, Pratt “had subdued nature by the sweat of his own brow.” At the same time, Pratt’s biographer claims that Pratt was a lover of nature, and that the earth “was to him a sacred book, to be read and understood.” This may seem impossible to modern observers, but Americans of Pratt’s generation had less romantic sensibilities. They tended to see nature in more practical terms. Pratt understood that nature was useful; it was also sacred, and at times awesome and seemingly abundant for all time. Today scattered older hemlock groves represent small patches that peelers found too inconvenient to reach, either because of access or slope. Individual trees and younger hemlock reveal that not every tree was taken, even where peelers did their work. Hemlock is very shade tolerant and can grow very slowly, awaiting its chance to retake the canopy once older hardwoods die. Indeed, today hikers may notice that hemlock creates a relatively dense understory in some forests, a sign that the Catskills hemlock story will have yet another chapter. In addition to the deforestation caused by the industry, the tanneries themselves greatly influenced the environment. Most required the construction of dams to harness waterpower. These dams tended to be small and impermanent – many were washed away by spring floods and had to be rebuilt or abandoned. Still, they did alter ecosystems, blocking the running of fish and changing siltation patterns. More important, tanneries produced great quantities of liquid wastes, all of which were simply run off into nearby waterways. Vats that held mixtures of lime or salt and those that held the “liquor” made with bark were drained into the streams. Flowing with those polluted waters were hair and fats removed from the hides. Countless visitors to the Catskills commented on the beauty of streams marred by the colored wastes and even the foul smells of rotting flesh and hair. This pollution proved as fleeting as the industry, however, and along with the milldams, it disappeared from the region when the tanning ceased. Humans tend to track time in generational units. In the late 1800s an elderly Catskills resident might lament that when he was a boy the forests were filled with hemlocks, their sweet smell and shady groves having long since disappeared. The next generation might lament a childhood passed without seeing a deer, the species having been hunted out of the mountains altogether. Today the forests have returned, even the hemlock to some degree, and the deer, and, as Munsell promised, so have the trout. The book of nature that Pratt hoped to read and understand continues to teach lessons about change over the long term. Catskills tanneries were built where ample falling water and the proximity to hemlock recommended their construction. Some of these tanneries were quite large, especially in relationship to the sparsely settled townships in which they appeared. In other words, some tanneries were built in the countryside, without any of the amenities of town life. These tanneries simply could not function if they didn’t also create around them housing for workers and the basic institutions necessary for their happiness and success: churches, stores, banks, etcetera. In this way, the largest rural tanneries could not long remain in a purely rural setting. To use Zadock Pratt’s words, cities had to arise in the wilderness to serve the tanning industry. Pratt built his tannery near other settlers, but not near an established hamlet. Pratt consciously planned the building of Prattsville. He began by laying out a nearly mile-long, wide street that would form the center of the village, and even before that village rose he had ornamental trees planted along the street to provide shade and beauty. He divided the land into town plots and offered them for sale. He also encouraged, and helped fund, the building of a series of churches in the new village. In 1832, the town of Prattsville was partitioned from Windham, largely in response to the growth caused by the tanning industry and in the village of Prattsville itself. The town began with a population of 1,500. Just shy of twenty years after the town’s founding and five years after the closing of his tannery, Pratt described Prattsville in a speech he made at an agricultural fair in Windham. In a clear indication of his pride in what had been built around his tannery, some of it through his direct involvement, Pratt listed the village’s institutions: “three tanneries, tanning annually one hundred and thirty thousand sides of sole-leather; employing two hundred hands and half a million of capital; three machine-shops and three furnaces; two woolen factories, one cotton factory, one oil-cloth factory, three grist-mills, three hotels, twelve stores, two wheelwright shops, two harness shops, four tailor’s shops, one printing-office, one goldsmith’s shop, one mitten and one match factory. There are one bank, three churches, one academy, and five schools.” For good measure, Pratt added that the village was home to four doctors and two lawyers. This wasn’t exactly a city in the wilderness, but it appeared to be a successful, diversified village. Pratt was not the only tanner to create a town, nor the only one to name it for himself. This was also the case of William Edwards, who built his great tannery in the town of Hunter at a spot he called Edwardsville. There he and his men constructed a village with hemlock logs, beams, sills, and shingles. The furniture, too, was made of hemlock. The town grew around the tannery, and a new saw mill. There was a blacksmith shop, an office and a store, all part of Edwards’ operation. There were also workers’ homes and a boardinghouse for single workers. By 1820, the village had grown enough to gain a separate church building, Presbyterian. Edwards served as the ruling elder, and through his generosity a minister was brought in shortly thereafter. Later there came a schoolhouse and a new name – Hunter. Prattsville and Hunter were new villages created around tanneries; other villages grew larger because of them, including another village that took the name of a tanner: Palenville. In most of the larger settlements, other industries followed or accompanied the tanneries, including grist mills and saw mills, as did agriculture. Unlike the instances when an entrepreneur set a tannery down in the wilderness, in most cases attributing the growth of villages solely to tanning would be inaccurate. Still, tanning clearly inspired the growth of Palenville and many other villages in the region. One of the villages with a complex history is Tannersville, which boasted sawmills and other businesses. Still, this village near the source of the Schoharie Creek was known best as the home of tanneries, hence the name. One small tannery, built by Samuel Patch, dated to about the same time as Edwards’ tannery just downstream. Another, the Olmstead tannery, was built along the Schoharie closer to the center of the village. There were several other tanneries in the vicinity, including the larger J. W. Kiersted tannery in Kaaterskill Clove, which was large enough to support its own hamlet, called East Hunter. After the Kiersted tannery closed, its location at the base of Buttermilk Falls made it one of the most accessible ruins of the industry, ensuring that many visitors would comment on its slow demise and residual foundation. East Hunter wasn’t the only hamlet to disappear when a tannery closed. In 1831 the Palen family opened a tannery in Ulster County, in a place they called Palentown along the Mettacahonts Creek. The tannery was purchased by Henry Samson, whose ownership lasted long enough to change the name of the hamlet to Samsonville. Samson’s partner, Zadock Pratt, helped that tannery become the largest in Ulster County, ensuring that a prosperous hamlet would develop there. By the late 1850s, when the tannery was controlled by Pratt’s son, Samsonville included a church and thirty houses. The hamlet all but disappeared after the tannery closed in the 1870s, however, and by 1930 Sampsonville was a ghost town. Not all “cities” could long survive in the wilderness. As tanning quickly evolved into an international industry, transportation became critical to the entire enterprise. When tanning had been a local affair, hides, bark, and tanned goods all stayed near the actual place of tanning, which itself was often a currier’s shop or a shed that was part of a farm. But larger tanneries required more bark and, just as important, more hides. The consequence was two-fold for the Catskills. First, good roads were needed to connect tanneries to the Hudson River, where a series of port towns grew with this and other trade. Tanned hides left the Schoharie Valley through Kaaterskill cove, down a long, winding road, sixty to eighty hides strapped to each heaping wagon. Most hides then went on to Catskill or Bristol, south of the place now known as Cementon, where they were loaded onto sloops headed for New York City. The trip from Prattville to Catskill covered over 70 miles, round trip, and it could take three days for teams of horses to pull loads of over a ton. Other hides left the Esopus Valley and headed to Kingston, where they similarly headed for the city on sloops. For years the road through the Esopus Valley was a plank road, largely composed of rough hewn hemlock planks. Another set of roads, much less well developed, led from tanneries into the woods, where peelers gathered their bark into large piles. Sometimes the bark cut deep in the woods awaited winter snows so that it might be sledded out, but other bark was loaded onto wagons, which bounded out of the forests on rough bark roads. In this way, the industry inspired the building of an extensive infrastructure, roads and bridges that might be used for any variety of purposes well after the hemlock gave out and the tanneries closed down. This was indeed the case, as tourists took to bark roads, in wagons, on horseback, and on foot, to get into the forests for recreation, and as farmers and quarrymen used the roads to ship their goods to markets well outside the Catskills. Today we tend to think of extractive industries, like tanning or logging, as being incompatible with the development of tourism, but this conflict was quite muted in the early 1800s. Bark and quarry roads laced areas that would quickly become tourist destinations, including the region around Kaaterskill Falls. Tourist maps located tanneries, “wood roads” and active quarries, just as they did the points of interest that drew vacationers into the mountains. These roads themselves became important infrastructure to the tourist industry, allowing carriage rides into the forest. William Edwards opened a bark road through Stony Clove, which kept his Hunter tannery viable until the late 1840s. The road also opened to tourists one of the region’s most scenic areas. Many tourists even commented on the picturesque qualities of the tannery ruins themselves. An 1853 New York Times article describing a day of “vagabondizings and discoveries” in the area around the Laurel House, at the top of Kaaterskill Falls, did more than praise the falls and beautiful clove below. While wandering with a sketch pad, the author took note of a “deserted mill – so picturesquely pretty as to be provocative of instantaneous sketching; a few road-side huts, barns and shanties; a ruined tannery, making the way-side fragrant with the smell of oak and hemlock bark, divers sleepy-faced oxen, with roughly-fashioned bells appended to their necks; a rustic bridge or twain.” The ruined tannery was as much a part of the romantic scenery as the Kaaterskill Falls, and the roads, built and maintained to serve extractive industries, helped tourists come to take it all in. The tanning industry required a variety of roads in the Catskills, and to thrive it needed the destination of the largest of those roads: the Hudson River. The Hudson was instrumental to the growth of Catskills tanning because water routes were by far the least expensive means of transporting goods – floating is always less expensive than driving. The Hudson had the added advantage of leading directly to the largest city in the United States, which was also North America’s most important port. Note William Edwards’ description of his selection of the upper Schoharie as the location to build his tannery in 1817: “I explored the Schoharie Kill from where Prattsville is now to the height of land in Hunter, wishing to find a good mill seat and plenty of hemlock bark; and as near the Hudson River as I could find these advantages.” Clearly being near the Hudson was of critical importance to the expansion of the industry. River transportation via sloops – small, maneuverable sailing ships – eventually gave way to steamboats, which were more reliably fast, but the river itself remained important even after rail lines ran up both sides of the Hudson, an indication of the price advantage of water transport. Hides piled up at a number of different river ports, including Rondout (Kingston) and Catskill. The Hudson did have one significant drawback: it closed for travel in the winter months because of ice. When the river froze in the early decades of the 1800s, some hides went overland to Boston, which had a large leather market, rivaling New York City’s. But after railroads provided a better alternative, Manhattan gathered the vast majority of upstate’s tanned leather. Sullivan County became especially attractive to tanners because of its hemlock and, after 1828, because the Delaware and Hudson Canal, which ran along the Neversink River for part of its length. This canal gave tanners easy access to the Hudson River port at Rondout. By the late 1840s, more than 400,000 sides of leather were transported out of Ulster and Sullivan counties (and beyond) on the Delaware and Hudson Canal. Annual shipments peaked in 1859 at over a million sides. At the beginning of the Civil War in 1861, rail connections had become instrumental in the further expansion of the tanning industry. With the Swamp well established as the marketplace for tanned hides and for the manufacture of shoes and other leather goods, Pennsylvania tanners shipped their hides via the Delaware, Lackawanna and Western Railroad, which by the early 1850s gave them access to Hoboken, New Jersey, and the ferries that took the hides the last step to the East River docks near the Swamp, the city’s leather district. New York had become such a dominant market for leather that Pennsylvania’s tanners decided to cross over the Delaware River, which would have taken materials inexpensively to Philadelphia, and instead pay the extra freight costs to reap the better prices in Gotham. New rail connections were also important to the expansion of the industry into the Southern Tier of New York, served by Jay Gould’s Erie Railroad. By 1850, tanners sent over half a million sides of leather to New York via the Erie. Thirty years later, the Southern Tier was producing more than a quarter of the state’s leather. Another quarter came from the Adirondacks, where the industry had expanded along with railroad access to the deep north woods. Just as regional transportation networks were essential to the developing industry, so were international trade routes. The hides shipped to the Catskills came largely from South America, especially Buenos Aires, the Argentine capital and port for the very productive Pampas cattle region. Other hides originated from Los Llanos, the lush plains region of Columbia and Venezuela. Pratt’s records also show the arrival of hides shipped from Cartagena, Columbia; Montevideo, Uruguay; San Juan, Puerto Rico; and other South American and Caribbean ports. Pratt did tan hides from the United States, some shipped through Buffalo and others from California. Local hides, however, constituted such a small percentage of hides that they did not merit mention in his records. Only efficiencies of scale and a massive market could warrant the shipment of hides such great distances. The powerful capitalist market moved the hides of cattle raised on the verdant plains south of Buenos Aries north via the Atlantic Ocean and into New York Harbor. Some hides even arrived in New York from Africa and India, although these constituted just a small percentage of the whole. Once in New York, the hides were transferred onto Hudson River sloops or steamboats and taken to a river city – Catskill if they were destined for Prattsville. After six months, the tanned sides returned to New York via the same river port and became the soles of shoes or boots in factories there or perhaps in New England or New Jersey. The finished shoes might find their way to a store anywhere in the United States. In 1845, a man trying on a pair of boots in Cincinnati, Ohio, if he looked very closely, might see the remains of a brand, burned into a calf that had roamed the Pampas of Argentina. In just this way, the Catskills were connected to very distant places by the hides that moved through the mountains. Since tanning was such a fundamental craft in the seventeenth-century economy, we can assume it took place in New Amsterdam nearly from the beginning of its founding. At first these small shops would have tanned only locally produced hides and skins. As the market grew, with the availability of more raw hides and greater demand for finished leather, tanneries began to move to the outskirts of the city, which itself began to grow more rapidly. In the late 1600s, several tanneries operated at “the collect,” a small fresh water pond just north of City Hall. By the end of the next century, the industry, much enlarged, had moved to an area known as the Swamp, named for Beekman’s swamp, which ran south from the collect to the East River. Even as the industry concentrated in the Swamp, it remained at a relatively small scale. Butchers sold raw hides to tanners on Skinner Street, later called Cliff. Over time, tanners filled the low grounds, expanding the usable space toward the river, creating new and valuable real estate. The streets filled with larger buildings, evidence of the industry’s success. Tanneries lined Ferry, Jacob, and Gold streets, and the tanners imported raw hides and skins, and bark as well. The industry included a variety of firms; some were short-lived, others well established. Some became large companies dealing in a variety of products, while others specialized. All varieties of leather could be found in the Swamp. In the 1830s and 1840s, for example, millions of seal skins were tanned in the city and turned into shoes and trunks. Increasingly, however, the actual tanning of leather took place outside the city, and the finished hides came by boat to the nearby docks on the East River, where they could be sold to manufacturers in the city or beyond. In most cases the leather merchants of New York City did not own the tanneries in the Catskills or elsewhere in New York State. In one early instance, however, New York capital helped establish the link between the city and the mountains, when in 1817 Gideon Lee and several partners formed the New York Tannery Company. Under the guidance of William Edwards, the company purchased 1,200 acres in the town of Hunter and built a new tannery. Just a year later, Edwards was sending tanned South American hides down to New York City. Lee and the downstate partners were content to leave the tanning up to Edwards, typical of the divided nature of the business, with trade centered in the city and tanning in the countryside. The Swamp boomed right along with tanning in the Catskills region in the 1820s and 1830s, feeding off the profits from the international trade. New York City became the great tanned leather market of North America, and its factories produced a variety of finished goods, especially shoes and boots. In 1853, speaking to the Mechanics’ Institute in New York City, Zadock Pratt remarked, “The ‘Swamp’ is the largest leather market on the earth. It is a radiating point for the distribution of hides and leather for this country and for other countries, in about the same way that Wall Street is the market and centre for financial operations.” Three years later, the New York Times noted, “The name of this locality is doubtless familiar to thousands who have never crossed its precincts.” Although the Swamp was just blocks from City Hall, no thoroughfare intersected this warehouse and wholesale district, and its negative reputation, established back when more tanning actually took place there, meant few wandered through except those who had business there. Still, the Swamp was the center of a thriving business, not just for the region but for the nation. Just a year after the Times introduced its readers to the Swamp and its business, Frank Norcross began publishing the trade magazine Shoe and Leather Reporter, based, of course, in New York City. Many of the men who controlled the leather trade in New York City accumulated great wealth, and while some Catskills tanners also became wealthy – Zadock Pratt among them – urban fortunes tended to rise higher. Part of the difference came from the size of the businesses, as leather dealers contracted with multiple tanneries and profited from these many relationships. Another difference should not be overlooked, however. Men like Jacob Lorillard and Gideon Lee invested their profits in real estate in the Swamp, building larger warehouses and shops. These investments became an important part of their portfolios and for some men the rapid rise in real estate prices in the booming city were enough to secure their fortunes. Note that this was not the case in the Catskills, where land was often worth less after the tanners moved on and villages struggled to replace the lost economic activity. Land shorn of its hemlock had lost much of its value, and deforested lands were often abandoned or lightly used in the decades after the tanneries moved out of the mountains. Some of this land was eventually acquired by the state for the Catskills Forest Preserve. In the city, the old Swamp is now home to massive office towers and parking garages on the edge of Manhattan’s financial district. Undoubtedly today most visitors could hardly guess that the area was once a swamp or even “The Swamp,” the largest leather market on earth. The tanning industry formed one of the many links connecting the Catskill region with New York City. The leather trade required the movement of hides into the mountains and then back out. The trade also required the movement of information, concerning prices and availability most importantly. People, too, made this trip, some of them dozens of times. In addition to traveling back and forth on business, some Catskills natives stayed more permanently in the city to make their fortunes or, at least, make a living. Loring Andrews, for example, was born in Windham in 1799, where he learned tanning as a young man. In 1829, he moved to New York City with a bit of capital saved from his Windham tannery profits. With shrewd investments in real estate and tanning in the Swamp, Loring made a fortune and was worth millions when he died in his Fifth Avenue mansion in 1875. Biographies linked city and country in countless ways. William Edwards made his fortune in the Catskills, and then lived his later years in Brooklyn, where he died in 1851. Another successful New York businessman, Edward Ladew, traced his roots to the Catskills, where his family name attached to Ladew’s Corners, now called Mount Tremper. Ladew worked his entire life in the tanning and leather industries, first for his father, also a tanner, and then partnering with Joseph B. Hoyt in Ulster County. Eventually Ladew had invested in tanneries as far away as Tennessee and Georgia, but his business was based in New York City, where he owned belting factories and for a time served as an officer in the United States Leather Company, the great leather trust created in 1893. Zadock Pratt traveled so regularly into the city on business that he kept an apartment in Manhattan, on Fifth Avenue. One of his many trips to the city garnered the attention of colleagues in the Swamp, who were hungry for tanned hides as demand spiked in the winter of 1847 and the supply dwindled because the frozen Hudson prohibited shipping. Eager to sell while prices were high, Pratt used sleds to carry hides down to the Swamp, where he cut a memorable figure arriving behind his four gray horses. Tanning was just one of many industries that linked the city and the mountains. Bluestone became an especially important mountain export after the Civil War, when railroads allowed Catskills residents to pile quarried stone at mountain stations where it began its journey to regional markets. Most of the stone came out of mountain counties with a rough finish, and gained a finer cut in the ports along the Hudson. Bluestone made its way to many growing cities, including New York City, where it became an integral part of the rapidly expanding urban infrastructure; it formed window sills, door stoops, curbing, and most famously, flagging for sidewalks. Later the region sent cement and gravel to the city, which among other things helped form the concrete that replaced most of the bluestone sidewalks. Parts of the Catskills became productive agricultural communities, including the Schoharie Valley. The region produced many different crops, most of which were consumed locally, but others of which found distant markets. Mountain counties exported butter and later milk, when rail connections made it possible. Hay from towns closer to the Hudson traveled down river to feed the city’s huge horse population. The Catskills produced several wood products, too, although most logging fed local mills for regional consumption or sent lumber and logs down the Delaware to Philadelphia. Still, the Catskills did produce furniture, barrel staves, and shingles for markets outside the mountains. All of these market connections flowed both ways. Just as so many of the mountains’ products wound up in New York City, so too did many of the goods that Catskills residents required come through city merchants. Sugar, spices, dishware, clothing, shoes, etcetera: the best prices could be found in the city. Manhattan’s warehouses once held much of what would eventually be sold in upstate stores. Although Catskills natives surely wondered about their power in the marketplace, thinking the merchants of the city held too much control over prices, this was a profitable relationship for people in both places. More than just economic ties bound the mountains to New York City. In some ways cultural connections between the city and country may have been even more important. Through the middle decades of the nineteenth century, even as the tanning industry persisted in all parts of the mountains, the Catskills became one of the nation’s first wilderness retreats for the growing urban tourist class. Increasingly in the 1830s and 1840s, mountain hotels, taverns, and boardinghouses catered to urban tourists. Many of the tourists were steeped in the literature that bound the region to the city, including the tale of Rip Van Winkle, written by the consummate New Yorker, Washington Irving, and set in a Catskills clove. More important, the tourists were likely to know Catskills scenery well, even if they had never visited. By the 1840s, landscape painters had depicted the Catskills, and other parts of the Hudson Valley, on so many canvases that the scenery – the rounded mountain tops, the wooded hillsides, steep, rocky cloves, and often the falling water – had come to symbolize the American wilderness. These Hudson River landscapes had become nearly ubiquitous by the mid-1800s, as dozens of important painters traveled from the center of the art world in Greenwich Village up the Hudson in search of worthy scenes. In this trek they followed the lead of Thomas Cole, who initiated what became known as the Hudson River School by painting wild Catskills scenes in 1825, including one of South Lake and another of Kaaterskill Falls. Over the next half-century, artists streamed up to the mountains to sketch the cloves, waterfalls, and forests of the Catskills. Among the best were Asher Durand, who lived and painted in the city, and Sanford Gifford, who grew up in Hudson and kept a studio in New York City. Other Hudson Valley residents, like Jervis McEntee, of Kingston, also produced beautiful scenes that helped create the ideal American landscape. Although all of these painters tended to feature the wild in their canvases, they also knew the Catskills as a settled, even industrial landscape. There were tanneries, both closed and operating, in Palenville, Kaaterskill Clove, and Tannersville – all places the artists frequented. The old tanneries occasionally earned comments from these romantic painters, but they did not grace the canvases. In at least one instance, however, the tanning industry did directly influence the landscape art. Charles Leupp, a major leather merchant, was also an art collector, and on at least one occasion he commissioned art from Thomas Cole. The cultural and economic connections between the Catskills and the city helped recreate both places. They both benefitted from the connections, although the benefits were clearly unequal. Fortunes tended to accumulate in the city, even when they were made by Catskills natives. Late nineteenth century rural residents – not just in the Catskills but around the country – recognized that wealth accumulated in the city in a way that it did not in the countryside. As rural residents struggled to make a living, cities boomed. In the surest sign that the nation’s cities would hold greater influence in the nation’s future, many young adults moved to the city to seek their fortunes. Wealth was evident in the city, where massive warehouses, factories, and shops fueled further growth. Fifth Avenue mansions, cathedrals, and cultural institutions revealed what all of this success might buy in the city. One of those institutions was the New York Public Library, built on Fifth Avenue and 42nd Street in the first decade of the twentieth century. One of the great urban edifices of the world, the library was a massive, beautiful beaux arts building housing a wonderful collection of books, manuscripts, and paintings. Among the latter was Kindred Spirits, the 1849 masterpiece by Asher Durand that depicted Thomas Cole standing with William Cullen Bryant above a Catskills clove. Durand had painted Kindred Spirits as a eulogy to Cole, who died in 1848. In addition to the two famous men at the center of the painting, Kindred Spirits featured a recognizable Catskills scene – anyone who knew nineteenth century art would have recognized that clove instantly as the essential Catskills landscape. That this painting should hang in the center of Manhattan rather than in the mountains themselves says something about the inequality of the relationship between these two places. Like the tanned leather that the mountain counties had sent forth for decades, Kindred Spirits and the Catskills scenery it depicted enriched the lives of New Yorkers who saw it hanging prominently in the library. Catskills residents needed to travel a hundred miles to visit the painting, but the real clove was a much shorter trip – and just as beautiful as Durand’s canvas. In 1896 the Shoe and Leather Reporter, the most important industry magazine, described the Catskills as “A Used-Up Tannery District.” After recounting the exploits of some of the region’s great tanners, including William Edwards and Zadock Pratt, the article ended on a wistful note. “Nothing now remains of the tanneries of the Catskills but the ruined vats. The ‘low-browed, sullen hemlocks’ are gone, but there are pleasant memories all through that region of the free-hearted and free-handed tanners of the old times.” Of course more than memories remained, including the imposing home of Zadock Pratt, as did more than a few hemlock trees. And the Catskills were much more than just a “used-up tannery district,” as the streams of summer tourists made clear. The Catskills tanning era had long since passed by 1896, but the region’s economy continued to evolve, continued to participate in the markets that linked city and country. The Catskills had become something much more than a former tanning district. The Catskills had become one of the great romantic summer vacationlands in the nation, catering to the urban tourists who arrived via steamboat and railroad, following the same routes taken by the hides in decades past. The Zadock Pratt Museum maintains the only permanent exhibit dedicated to the memory of Colonel George Watson Pratt, 20th NYS Militia and the hundreds of volunteers from Greene County who fought and died to preserve a more perfect Union. The exhibit’s memorabilia tells the story of the service of African American Soldiers, the role of women at the home front, the life of the soldier on the march and recounts the experiences of the thousands of drummer boys under eighteen years of age who answered President Lincoln’s call to action. One of the centerpieces of “Hardtack & Home Front Recollections” is an original oil painting by renowned historical artist Mark Maritato depicting the moment when Colonel Pratt led his regiment at the Battle of Second Manassas, Virginia on August 30, 1862. The many soldiers and officers artifacts, vivid images and photographs, uniforms, documents, historical art on display most of which are from curator and board member John C. Quinn’s extensive collection provides a moving and powerful glimpse into the lives of our ancestors who lived during one of the most turbulent times in our history. Through well documented and historically accurate signage the public is able to immerse themselves in America’s story during the period 1861-1865 and reflect on the sacrifices of hundreds of thousands “citizen soldiers” and the events that ended slavery and ultimately preserved the Union. Are you originally from the area, or did you relocate here? If so, why? I am originally from Windham area. My Mom and Dad moved there in 1970 from Renns. Co, so I was 3 then and pretty much spent my whole life here in the Catskills. Moved to Prattsville because my wife and I found a house and property that we liked. I work for NYS DEC as a Forest Ranger covering Greene county. Why are you on the board as President? The board President role kinda just fell in my lap. I joined the board to get involved w/ the Pratt museum. I always had an interest in history. I was asked to join the board as a general board member at a time when the board was turning over to new members. 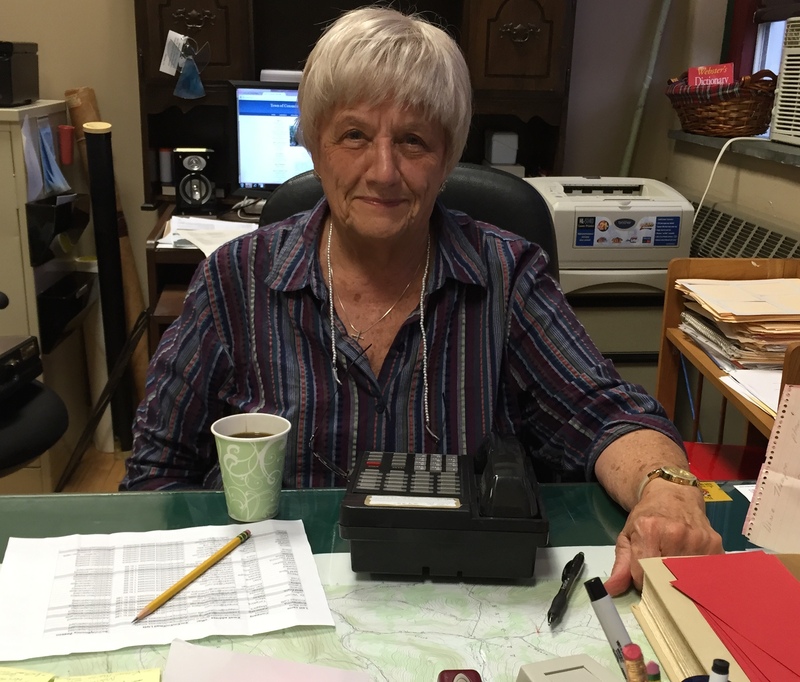 When the board met to appoint officers I was asked to be President because I lived in Prattsville and fit the role, so I volunteered to take on the role. If you met Mr. Pratt in person, what question might you ask him? Meeting Mr. Pratt in person would certainly be quite an experience. I would certainly try and gain some of his insight and knowledge because he certainly was quite an innovator and extraordinary individual for his time. I would love to capture his vision for Prattsville and incorporate that into the challenges we face w/ the museum today. What does the museum symbolize to you? The museum symbolizes sacrifices one man went through for his community and his family. It symbolizes a very influential period in history that a lot of folks have forgotten about. It symbolizes a tool to educate people who visit the Catskills what really happened here and what life was like “then” and how much has changed. What did you think when you saw the damage done to the museum from the flood? Words really can’t describe the damage that was done in Prattsville. I really never thought the Town would recover and some of it hasn’t yet, but things have really progressed. What do you hope to see for the future of the museum? As far as the future of the museum, we are moving along… slowly w/ challenges, but I think we will get there just like everyone else has. I would like to see the Pratt museum become and integral part of the mountain top. We need to make some infrastructure improvements and do the outreach to get more people here. I would like to have the Pratt Museum become that place where folks can visit, learn our history here in the Catskills and come back whenever they visit here. Getting exposure is critical. Having the museum become more of an attraction for the visitors we get here in the Catskills is critical. That will get us the exposure we need to become that place folks talk about when they leave here and come back to when they visit again. I would like to add that the Pratt Museum is really a unique place. It represents a very important time in history ie civil war, industrial revolution, tanning, etc. These are events that we need to keep learning about and teaching others about too. I think the Zadock Pratt museum can do that. What is your role with the ZPM? I have been on the Board of Directors for about 8 years. Currently, I’m on the Museum’s Benefit Planning Committee, this year is our second annual dinner . The benefit is next month, October 17th. There will be a gala dinner at Windham Mountain Club during which we nominate 8 individual residents whose work has contributed significantly in preserving country and history while also keeping connections alive. Where would you like to see the museum in three years? I would like to see all the archives and furniture returned back to the museum. I would also like to see all the walls, and heating and cooling system fixed and working. Pratt would have been really proud to see all the people treasure his belongings. The museum is a very fine place of history for the town. Are you still collecting Pratt and Prattsville-related items, all the archives, or were some of them destroy in Hurricane Irene? Some of them, of course, were destroyed and cannot be retrieved. But many have been frozen since they can bring them all to special cooling units, otherwise they would’ve all crumpled or shriveled away. Some of them started to be restored and some of them we actually need money to take them out and bring them to the museum but we don’t have money for that. I would like the museum to be more “on the map,” I would like more people to come to the museum to learn about the heritage of this are. They don’t realize how much that is important for everyone to contribute. It’s right around our corner, around our door; “right in their own backyard,” as the saying goes. What’s your favorite piece, aspect of the museum currently? During Mudfest I went over there. I found myself reminiscing of how it looked when you walked into that museum because I love old homes. When you walk in there, on the left side is a parlor now, there used to be a fireplace but it’s not there anymore. I’m reminiscing on how Pratt was living there, what was there, how he looked being tall with his big top hat on. I’m thinking of his wife, his kids, whatever! Back when we had brunch and dinner at the museum, we would all bring the food into the kitchen. We would open up the dining room and people would come and eat. They have cubbies in the walls, and I’ve always loved those cubbies. I don’t know why, back then they didn’t have closets to store the clothes so they had all these cubbies. The cubbies where they put in stuff for the kitchen, that was there. That’s exactly the same thing as in the Bronx Museum. I LOVE looking at that, and thinking that’s what they really needed at that point, not the clothes in the closet. I love the piano in the parlor. I love Pratt’s desk. I wish his desk could be restored because that was very important. That was the desk where he signed all the papers and everything that was so important. If you look at any president, it was so important for the president to have a picture of him taken at his desk. He worked there. Significant things happened at that desk. So when you walk into the museum, you transport back into time? I put myself back there, even to how they looked, how they dressed up. Did your fascination with history lead you to wanting to be part of the board or did someone reach out to you? That’s definitely part of it. I’ve express my love of restoration with what I have done at the Washington Irving Inn. Basically, after my tragedy I went on my own and decided I will do whatever it takes to finish what I start. And here I am. They obviously thought that my experience with this would serve them well on the Board of the Pratt Museum to help with preservation. I express myself in many places, like the Mountaintop Historical Society. I help as much as I can with giving through the Washington Irving Inn. We had an afternoon tea here to honor a Secretary who was retiring, so I donated all that to them because I thought that’s my desire to help organization to help grow or to preserve. So then they approached me to be a member for the ZPM and I accepted. What does the ZPM need to grow? We need more membership and more people to be interested in the museum. It’s a small museum but nothing is big enough if you don’t make it to be bigger. The Museum needs a lot of work, lots of volunteering, especially after the flood. We need help on the board. And, of course, when we have this annual benefit we need people to come. We have created a comfortable and desirable place to have fun during the benefit. It is not necessary to love history to come! Their donation will be rewarded with this beautiful dinner and nice company and all that. That’s all good for the cause of what we try to preserve. Every museum is not only important for the residents of the town or the county, it’s important for tourist because we are a tourist destination. We don’t have big buildings to show them like NYC but we have our history to show of the area, town and mountain. So when tourists come, you have them asking what to do, where to go and what to see. I take map and make a drawing for them. You can go to Pratt Rock, Museum, the Historical Society. It’s very important that people have things to do when they come up here so I am very thankful that I know more about it than some people and I’ve given them so many tools of what to do. When they return and say, “We went there and there, everything you suggested”, I think to myself that I must sound like a mommy, they listened to me! But they are very thankful! So that’s all really helping out the region, for all the businesses around. Keeping the connection alive, that’s my really big goal; for the tourist industry to grow and for my business to be shared with other businesses, other things in town or the mountaintop. The following are pictures taken at the museum after Hurricane Irene. The damages done from the significant rainfall were devastating. The Zadock Pratt Museum has made much progress in the restoration of the museum since but still has a long way to go. 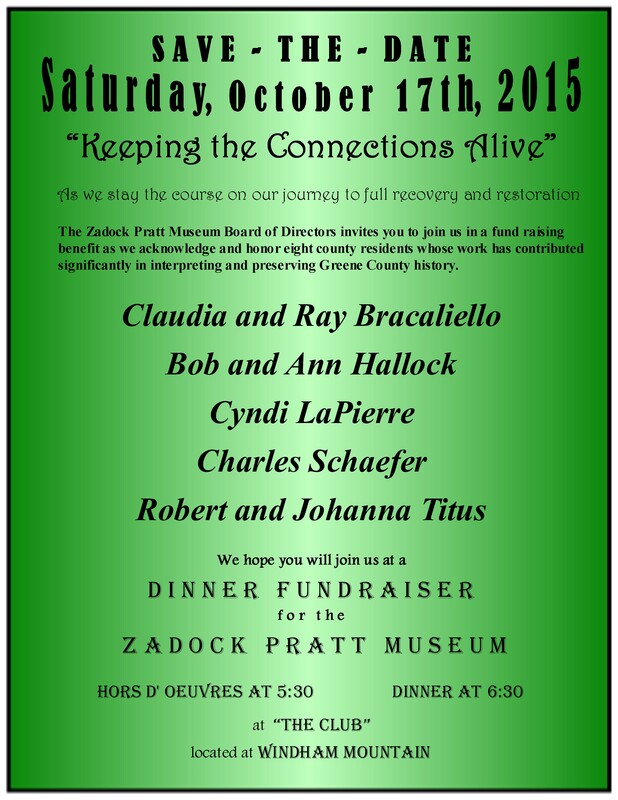 How long have you served as a Board Member for the Zadock Pratt Museum (ZPM)? I believe this is my 7th year on the Board of the Pratt Museum. What initially motivated you to become part of the board? For several years prior I had worked with director, Carolyn Bennett, on a project she had introduced me to when I had become the historian in the town of Lexington – the life and works of Levi Hill, a Daguerreotypist that lived and worked in Lexington and Prattsville in the mid 1800’s. In getting to know Levi Hill, I also became acquainted with Zadock Pratt. So when Carolyn invited me to take a position on the board I really could not turn that down. What are some of the highlights of serving as Board Member of the ZPM? Since the flood the museum’s fund raising projects have taken on new meaning. Actually, I had heard Carolyn say, even before the flood, when the board was working on expanding the mission and scope of service, that we needed to consider holding a larger fundraiser along with all the usual fund raising events. That became critical after the flood, so last year I decided to test the waters to see if we, indeed, could hold a benefit dinner fundraiser that could be an annual increase of income. I had a great committee and we did succeed in meeting the financial goal we had set. This event had presented a perfect opportunity to highlight the goals and the intentions of both the museum and the Board of Directors – that of conscious collaboration throughout the county and beyond, in the continuous unfolding of the rich history of this area. Last year we chose to honor Carolyn, her efforts, achievements, and goals, as a theme for our fundraiser. And since it’s all about “connecting” we chose two other Greene County individuals who also exemplified that goal, Deb Allen and David Dorpfeld. They were perfect first honorees. They were both very helpful in making it a success. Now we are grateful to have the opportunity to honor others at our 2nd Annual Honoree Benefit on Saturday, October 17th, in “The Club” at Windham Mountain. Our honorees are Ray and Claudia Bracaliello, Bob and Ann Hallock, Cyndi LaPierre, Charles Schaefer, and Robert and Johanna Titus. These honorees cover the whole county. This is our way of honoring a term that David Dorpfeld used when he became the Greene County Historian and began his many trips to the mountaintop to let us know his own intentions of getting us all connected. Dave is on the board of the Greene County Historical Society and he proposed that if the Greene County Historical Society, in Coxsackie at one end of the county, and the Pratt Museum in Prattsville, at the other end of the county, stay in connection, we, like bookends, promote connection and collaboration with everything in between. Tell me something that most people might not know about the ZPM? We were beginning to see the results of our efforts for expansion when Irene came to visit and left us with the understanding that before we got back to those glorious plans we would have to get past the damages of Irene. Can you tell us a little about the ZPM benefit coming up on October 17th? In this Honoree Benefit and in the expansion of the work and mission of the Pratt Museum we are wanting to let people know more about Zadock Pratt and his role in the history of this country and this part of New York State in the days of Pratt and Hill and Cole and Durand and on and on. Pratt, himself was always reaching out, collaborating, and leaving his mark in many parts of the county, the state, the nation and beyond. So our theme “Keeping the connections Alive,” is faithful to the very roots of the site in Prattsville which is the Pratt Museum.